Twenty-five researchers from seven research institutes have put their heads together to draw up rules for designing high-efficiency organic solar cells. The research is led by Feng Gao, associate professor at LiU. An article have been published in Nature Materials. Feng Gao, IFM Photo credit: Göran BillesonOrganic solar cells, made from carbon-based materials, present unique advantages compared with other solar cell technologies. For example, they can be manufactured through low-cost printing technologies, and they can be made semi-transparent with selectable colours, which can be used architecturally in building integration. Their flexibility and low weight make them perfect for powering the sensors for the internet of things applications. Semitransparent solar module Photo credit: Thor Balkhed“But we now know that there is no difference – the theoretical limit is the same for solar cells manufactured from silicon, perovskites or polymers”, says Olle Inganäs, professor of biomolecular and organic electronics, Linköping university. In addition to Feng Gao, Artem A Bakulin from Imperial College London and Veaceslav Coropceanu from the Georgia Institute of Technology are also corresponding authors of the article. The research has been financed by grants from sources in Sweden, the EU, the US and China, and has also been carried out within the framework of the strategic initiative in advanced functional materials, AFM, at Linköping University. Design Rules for Minimizing Voltage Losses in High-Efficiency Organic Solar Cells, Deping Qian, Zilong Zhen, Huifeng Yao, Wolfgang Tress, Thomas R. Hopper, Shula Chen, Sunsun Li, Jing Liu, Shangshang Chen, Jiangbin Zhang, Xiao-Ke Liu, Bowei Gao, Liangqi Ouyang, Yingzhi Jin, Galia Pozina, Irina Buyanova, Weimin Chen, Olle Inganäs, Veaceslav Coropceanu, Jean-Luc Bredas, He Yan, Jianhui Hou, Fengling Zhang, Artem A. Bakulin, Feng Gao. Only now in 2018 have researchers successfully demonstrated that hypothetical ‘particles’ that were proposed by Franz Preisach in 1935 actually exist. In an article published in Nature Communications, scientists show why ferroelectric materials act as they do. A further step has been taken along the road to manufacturing solar cells from lead-free perovskites. High quality films based on double perovskites have been developed in collaboration between LiU and NTU in Singapore. The ability to use cheap materials and simple manufacturing methods are two huge advantages of printed organic solar cells. Olle Inganäs and his research group has now developed an even simpler method to manufacture solar cell modules. Feng Gao is one of 24 promising young researchers who have been named Wallenberg Academy Fellow. He will now receive further funds to continue developing a new type of material known as “perovskites”, well-suited for use as solar cells and LEDs. Researchers at Linköping University and Umeå University have succeeded in increasing the efficiency of light-emitting electrochemical cells so their luminance equals that of a panel of OLEDs, and their efficiency is on a par with a fluorescent lamp. Professor Martijn Kemerink of Linköping University has worked with colleagues in Spain and the Netherlands to develop the first material with conductivity properties that can be switched on and off using ferroelectric polarisation. LiU researcher Feng Gao will host Sweden’s first workshop on perovskites, a new group of materials that are excellent candidates for solar cells and light-emitting diodes. Leading Nordic and Asian researchers will gather in Linköping on 29-30 May. Dan Zhao and Simone Fabiano at the Laboratory of Organic Electronics have created a thermoelectric organic transistor. A temperature rise of a single degree is sufficient to cause a detectable current modulation in the transistor. Five researchers at LiU have each been awarded SEK 1 million per year for four years in research grants from a joint initiative by the Swedish Energy Agency and the Swedish Research Council in energy-oriented basic research. Progress in research into organic solar cells has been rapid in recent years. These cells are environmentally sensitive, can be printed onto large surfaces, and open completely new possibilities for husbanding the energy of the sun. Researchers at LiU, together with Chinese and American colleagues, have developed organic solar cells with a significantly lower driving force and faster charge separation than previous cells. The results have been published in Nature Energy. 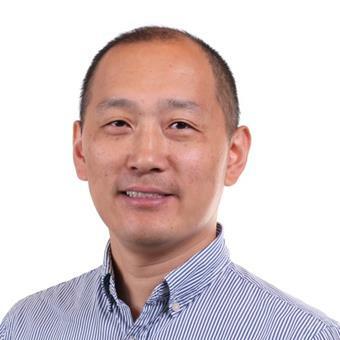 LiU researcher Feng Gao has been awarded one of this year’s ERC Starting Grants by the European Research Council in stiff competition with other applicants. He will use the money in his work to develop new materials for light-emitting diodes. Organic printed solar cells will soon be in a window or a bag near you. In “Sunflower”, the recently-concluded EU project, researchers and businesses brought the technology a great deal closer to our everyday lives. Tryckta organiska solceller producerar el från fönster hos Tekniska verken i Linköping. Professor Olle Inganäs och hans grupp leder utvecklingen mot framtidens hållbara energikälla. Polymer solar cells could be even cheaper and more reliable thanks to a breakthrough by researchers at Linköping University and the Chinese Academy of Sciences (CAS). This work is about avoiding costly and unstable fullerenes. Researchers at the Laboratory for Organic Electronics have created a supercondenser that can be charged by the sun. It contains no expensive or hazardous materials, has patents pending, and it,s possible to manufacture it on an industrial scale. Polymers can behave like insulators, semiconductors and metals – as well as semimetals. Twenty researchers, under the leadership of Xavier Crispin, Docent in organic electronics at Linköping University, are behind the breakthrough published in Nature Materials.